As you've probably noticed, I've been really enjoying the Great British Sewing Bee. I thought I would try to challenge myself to make a few items from the show, and see how I go against the time limit. 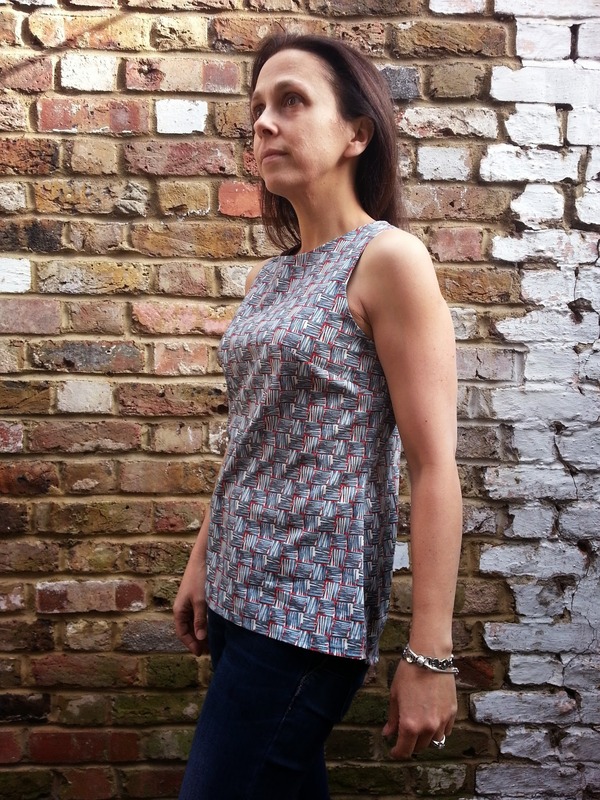 A sleeveless cotton top (the pattern challenge from week one) seemed like a good place to start. 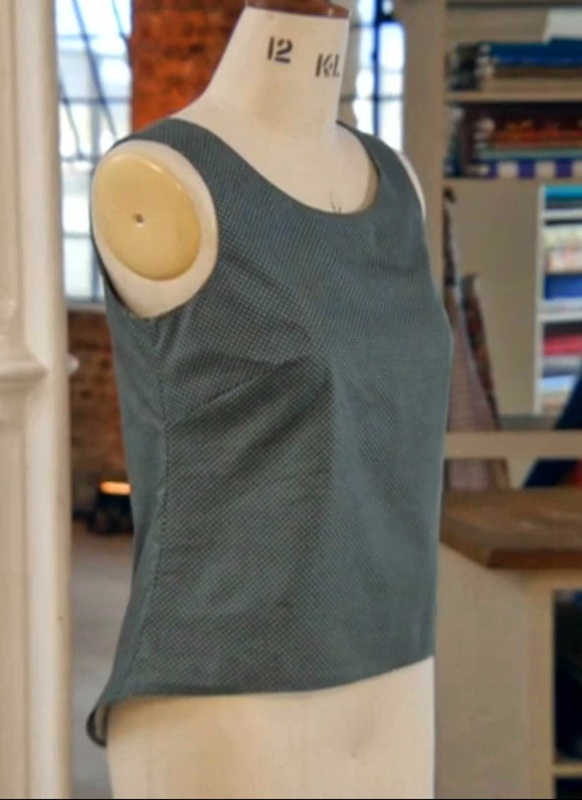 Here's the challenge - sew a sleeveless cotton top in 2.5 hours. 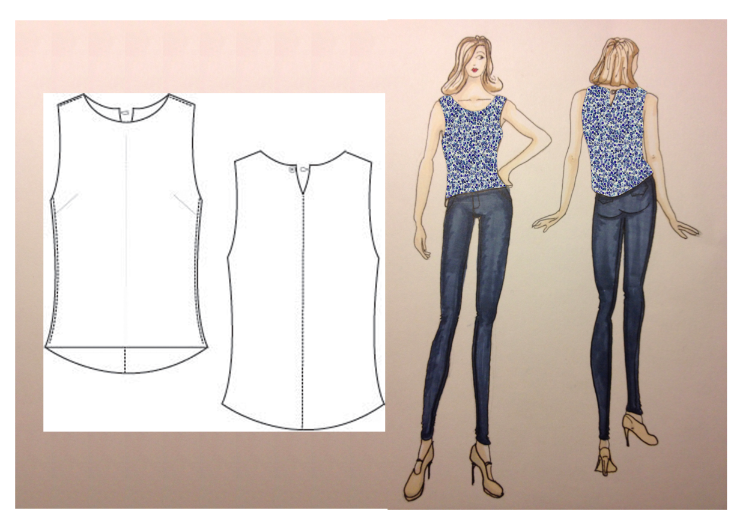 A while ago I did a pattern drafting course, and drafted my own bodice block. I've been wanting to have a go at creating my own pattern using the bodice block, but have been a bit nervous about doing it. This seemed like a very simple pattern to create. I needed to draft four pieces - a front section, a back section, a front facing and a back facing. Cut the neckline down in front and back. Widened the neck at the shoulder seam. 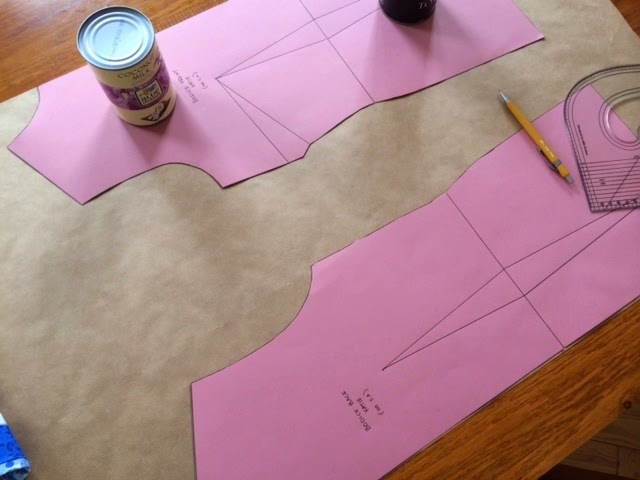 Cut the armhole narrower at the shoulder seam. Shortened the front section at the hem. Cut a curved back at the hem. Drafted the facings based on the redrafted bodice. I found this lovely Liberty Tana Lawn fabric at Desai Cricklewood Lane, West Hampstead) and bought 1.5 metres. Sew the front and back bodice pieces together at the shoulder. Sew the front and back facing pieces together at the shoulder. 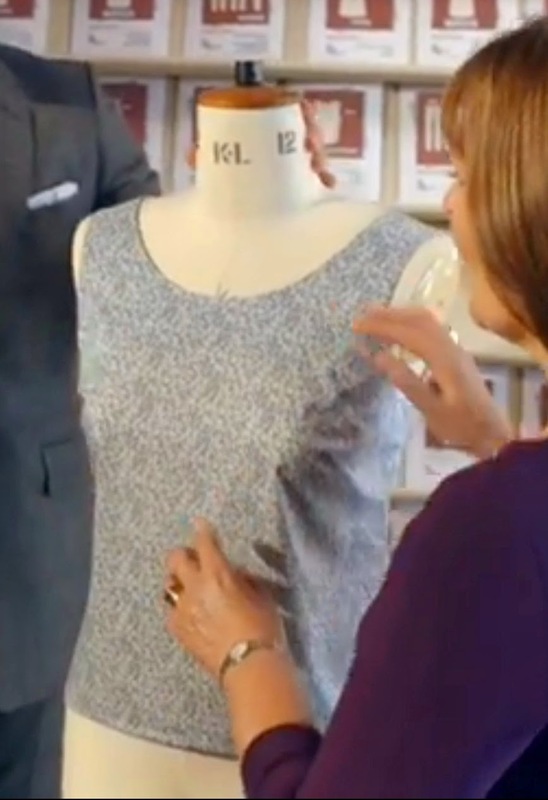 Sew the facing to the bodice at the neckline (right sides together). Sew the facing to the bodice at the armholes. 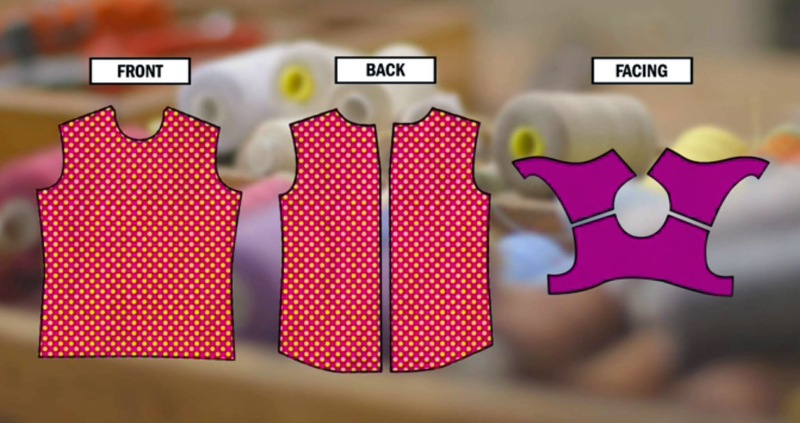 Pull the two back sections through the shoulders, to turn the top the right side out. Sew the top of the centre back seam. Sew the bottom of the centre back seam. Sew on button and button loop. First of all, let me say, I'm only moderately happy with the pattern I drafted. 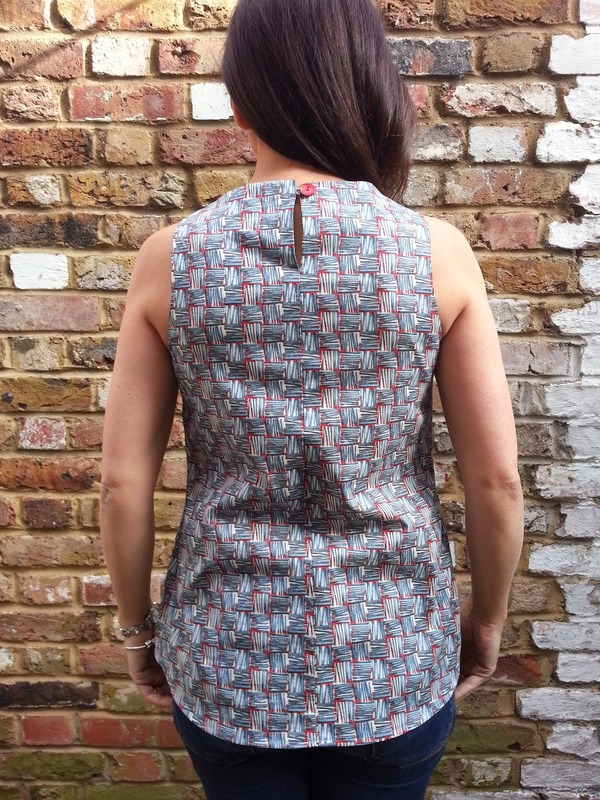 As you have probably noticed I cut the shoulder in too narrow, didn't cut the neckline wide enough, didn't cut the back neckline low enough, and should have started the darts lower in the side seam. It looks OK, and that's about it. 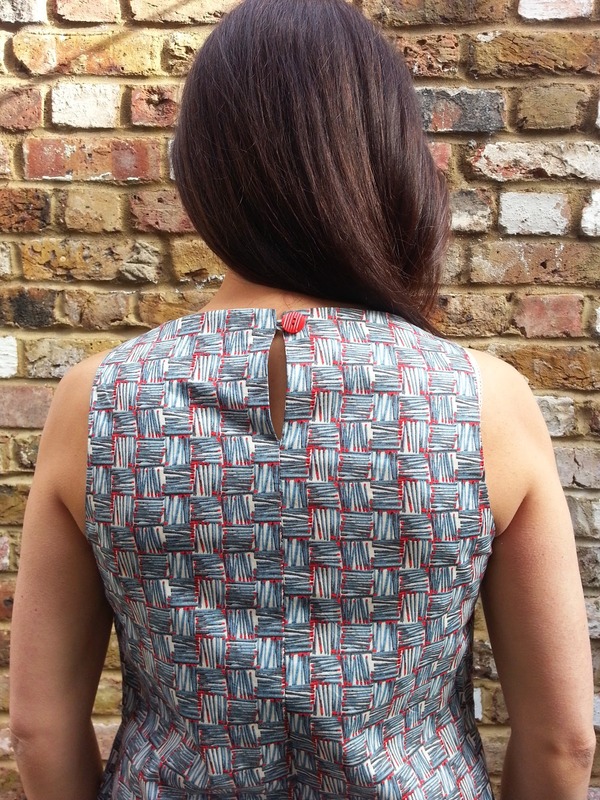 Putting the pattern drafting problems aside, I was really pleased with how neatly I managed to sew the top. I have to confess that I didn't make a hand sewn button loop. Instead I made a tiny rouleau loop and stitched it inside the centre back seam. Did I complete the challenge? This top took me 2 hours and 38 minutes to sew. Not bad at all. 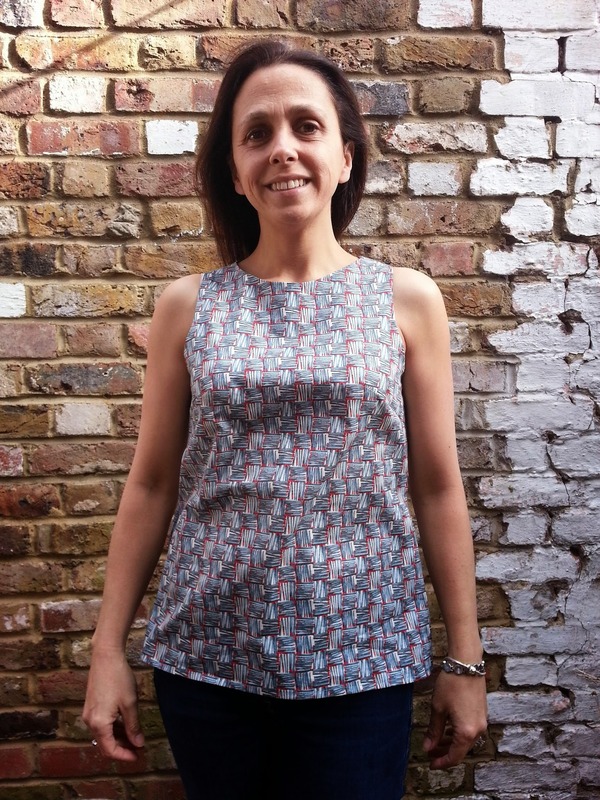 I think it would be an ideal summer top, and it could be made in a wide variety of prints. I'd definitely like to have another go at drafting the pattern. This time I'm gong to make up my basic bodice block in calico, then draw on it where I want the neckline, armholes and hem. I will then transfer the adjustments onto a pattern. Fingers crossed this will give me a much better pattern. UPDATE: I have since made three more tops (and two refinements of the pattern) and have finally perfected this top. You can read about pattern versions two and three here and here.